If you've watched any school-life anime, you'll know that an important part of the school day is cleaning the school. Students are allocated a set amount of time, either after lunch (elementary) or at the end of the day (junior high school) to clean. They're responsible for cleaning both their classroom and the common areas of the school. Usually, a little jingle will play through the speakers to keep kids peppy and encourage them to clean. The homeroom teachers will also be around, both supervising (making sure they don't slack off) and helping to clean. Now, here comes the big question: as an ALT, are you responsible for cleaning as well? Honestly, the answer depends on you. Technically, you're not required to clean. In fact, on your daily schedule, you shouldn't be scheduled to work during that time. I also have an old contract (from around 2007) that states you aren't required to clean, and if you are asked to, contact Interac first. But just because you're not obliged to clean doesn't mean that you shouldn't. But you shouldn't feel forced to clean, either. It's honestly up to you. 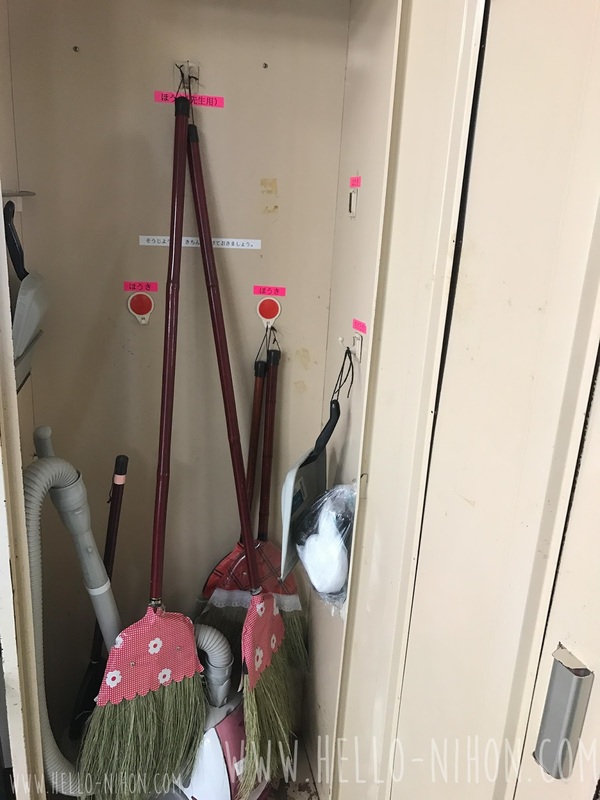 In elementary school, students clean by homeroom classes generally. In junior high, they can be broken into smaller groups to clean certain areas depending on the day's assignment. My biggest problem was not knowing where to go to help clean. At my schools, there is no group that came to clean the teacher's room. (Though the janitors will come in from time to time to vacuum, etc.) You can simply ask your vice principal how to help clean. More than likely, he'll be thrilled that you asked to help and show you where the extra cleaning supply closet is. Or, if you eat lunch with your students, or happen to be teaching a class before cleaning time, ask the homeroom teacher if you can help that class. In typical Japanese fashion, there's a place for everything - it's even labeled! When I would clean, I always slowed my group down and I always felt bad about it. 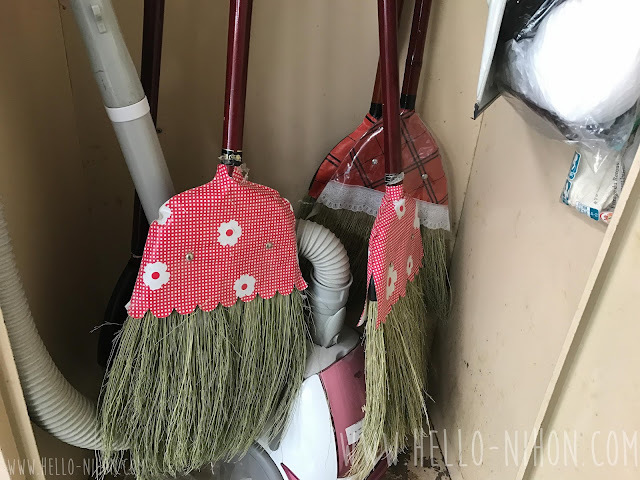 I think the students and I had two different mindsets about cleaning: they just wanted to get the job done as fast as possible, while I wanted to get every nook and cranny. Eventually, I learned to sweep faster and it worked. When I'd help clean the teacher's room, I could clean at a more leisurely pace. And if you don't want to clean, that's your choice. Your school isn't going to take points away from you. A lot of the office workers, support teachers, and teachers who don't have homeroom classes usually don't clean and just hang out in the teacher's room during cleaning time. It's also important to note that volunteering to clean a few times may set a precedent and you may be almost expected to clean once the routine is started. I, personally, clean sometimes, but I usually don't. Like I said, it's totally your prerogative. I work as an English teacher in Yokohama, Japan. 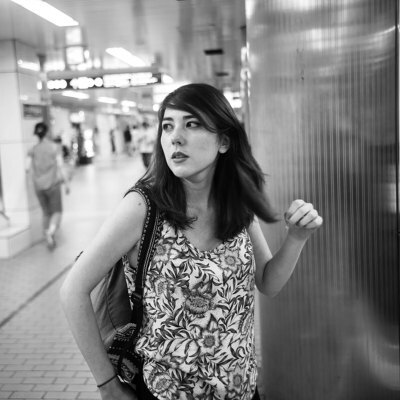 I blog about my (daily) life in Japan, from teaching to restaurants to whatever I did on the weekend. Come and join me on my adventure! © 2016-2017 Hello Nihon ALL RIGHTS RESERVED. Simple theme. Powered by Blogger.